The Mindy Project is a half hour comedy, based on the personal and professional life of a young doctor, who is practicing in New York City. It stars Mindy Kaling, with Chris Messina, Ed Weeks, Anna Camp, Zoe Jarman, Amanda Setton, Stephen Tobolowsky and Ike Barinholz, rounding out the cast of characters. The series is created and written by Mindy Kaling and is the first series in U.S television history to have a South Asian American as its star. Mindy says her inspiration for the show is based on her mother's life as an OB/gyn. Mindy Kaling plays the character of Mindy Lahiri to near comedic perfection. Dr. Lahiri, a competent Obstetrician/Gynecologist, has a lot of issues getting her personal life together. She is thirty one years old and fears that Mr. Right may not show up on time. While she waits, she tries to lose weight, balance her accounts, read more, so that she will be a well rounded woman for her future well rounded love. Her love of romantic comedies fuels her search as well as her idea that there is a perfect someone out here for everyone, and the girl always gets the guy. Chris Messina plays Dr. Danny Castellano, an offbeat fellow doctor who could potentially be a love interest for Dr. Lahiri. His character is quirky and while he is a good doctor, he is not as good as he thinks he is. He is constantly stealing Mindy's clients in the office all the while giving her a hard time about her life. Anna Camp plays her best friend, a lawyer turned soccer mom living in the suburbs. She is always a phone call away whenever Mindy needs her. Ed Weeks' character is Jeremy Reed, a fellow doctor and sometime bedmate for Mindy. Their relationship is purely physical and is not at all helped by the fact that Jeremy is an outrageous womanizer. The Mindy Project pilot was first proposed with the title of Its Messy to NBC. The script was released from NBC projects and sent to FOX executives on January 27, 2012. The pilot was green lighted on May 9, 2012. In the series finale, Mindy's fertility practice is in danger and Annette's upcoming surgery looms. While Mindy and Danny wait, Mindy attends Morgan and Tamra's wedding, where she and the rest of the Shulman gang try to find their own happy endings. Annette (Rhea Perlman) is furious when Mindy uncovers a secret about her and decides to get involved. Jody attempts to keep his new girlfriend (Ana Ortiz) from taking a job overseas, while Tamra dives headfirst into Morgan's religion. Mindy is forced to go solo on the honeymoon that Ben had planned for them. Hoping for relaxation and a new romance, Mindy instead finds herself on a vegan wellness retreat with her ex-fiance Casey (Anders Holm) and his hot new wife. Jeremy's hosting a party the office is actually excited for! Adding to the intrigue, Mindy invites a handsome stranger who has an unexpected interest in Shulman and Associates. Jody competes with a beautiful doctor after she steals one of his patients. Mindy goes toe to toe with a cliquey mom (Julie Bowen) at Leo's school. Meanwhile, Tamra fends off the advances of an ex she never thought she'd backslide with. Episode 1 - Is That All There Is? Mindy hears that Ben might be planning to propose, just as she decides she never wants to get married. Colette and Karen get engaged, but Colette immediately gets cold feet. Jeremy and Anna's friendship is tested when Anna's ex-husband comes back. Mindy's world is turned upside down when her cool friend from childhood moves to New York and starts dating Morgan. Meanwhile, Ben has to cover his tracks after the nurses spot him in a provocative situation. A heartbroken Anna grieves her breakup at Mindy's place, while Jody and Jeremy compete for her affection. Morgan, trying to jump-start his dating life, blows up at Colette's new girlfriend, Karen, when she accidentally interrupts his make out session. Mindy acts out after learning that Ben's super-hot ex-wife is in town visiting him. Anna, having trouble at home, begrudgingly asks her coworkers for help. Ben gets the opportunity to host a medical segment on a talk show, but he has no interest in fame. Mindy questions whether she wants to be with someone who doesn€™t have the same ambition as her. Matters come to a head when Mindy bumps into an old flame. When Mindy discovers that her new boyfriend isn€™t being exclusive, she goes on a date with a famous actor aka €œthe bad boy of London theater.€ The nurses try to cheer up Jody, who€™s lost his mojo, and discover he might be planning something drastic. The nurses€™ strike continues, while Mindy finds herself having romantic feelings for the enemy € Ben, the leader of the nurses. As the doctors and nurses try to stay strong, Jeremy finds that the stress is taking a serious toll on his health. While Mindy struggles to take care of a sick Leo, Shulman & Associates is rocked by a nurses€™ strike led by Ben, a handsome male nurse. Meanwhile, Jody tries to sell the upstairs apartment and Brendan Deslaurier comes to Mindy seeking help. After Jody tries to win Mindy€™s heart by buying her an apartment, Mindy is torn between her old love, Danny, and a relationship with Jody. Tamra is suspicious about Mindy€™s trip to Miami so she and Colette go undercover to figure out what really happened. We already knew it, but now it's official. It will be the 'Mindy Project' star's first baby. Could this be the end of Dr. Mindy Lahiri? On the season finale of "The Mindy Project," Mindy becomes concerned about her relationship when Danny doesn't put any effort into meeting her parents. With her pregnant body growing, Mindy's confidence hits rock bottom... so she enlists the help of Tamra's infamous cousin Sheena to help her get her sparkle back. With Mindy's new fertility clinic struggling to bring in clients, a calculated lie puts her in hot water with Danny; New hire Dr. B is rubbing the support staff the wrong way. Mindy's pregnancy is making her throw up around the clock, so Danny takes control of her eating habits; a new doctor is invited to the practice. Danny agrees to move to California, but Morgan misinterprets the changes happening, and tells the office that Danny is dying; Mindy's brother Rishi is having financial issues. Mindy debates on how she will drop her big news to Danny... but a surprise visit from Danny's family puts a hold on the surprise. Mindy is offered a major opportunity, but it will mean leaving New York behind; Peter decides to follow his heart. The Mindy Project is currently available to watch and stream on Hulu Originals. 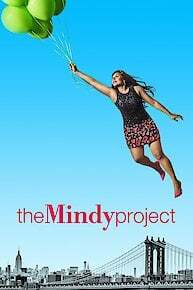 You can also buy, rent The Mindy Project on demand at Amazon, Hulu, Vudu, Freeform, FandangoNow, Google Play, iTunes online.